Leslie Model 114 | MOSweb Online! 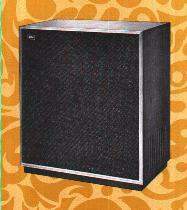 Cabinet is almost identical to the model 110. The only difference is the grille cloth which is identical to that used on the Hammond Piper spinet.